LOS ANGELES (AP) — While the polar vortex is driving up demand for natural gas, it isn’t doing the same for the price. The massive weather system is blanketing much of the Midwest and Northeast in a deep freeze, and demand for natural gas is spiking as homeowners crank up the heat to stay warm. Yet natural gas prices have fallen this week and are in the throes of a two-month skid. The bone-chilling cold stretches from Bismarck, North Dakota, to Portland, Maine, but it will be relatively short-lived. And forecasters say warmer than normal weather is coming to replace it. 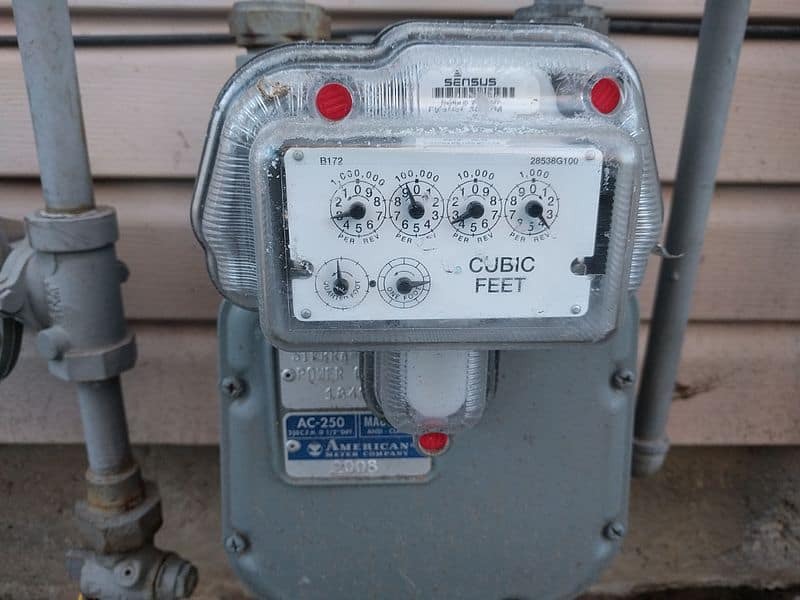 An early blast of winter weather coupled with U.S. natural gas stockpiles hovering at a 13-year low drove the price of natural gas to $4.84 per 1,000 cubic feet in mid-November, the highest closing price in more than four years. Natural gas prices began to decline around mid-December as the early November winter weather gave way to above-normal temperatures. That weather pattern continued into January and natural gas fell below $3. The relative warm spell allowed for supplies of natural gas to be replenished. Greater supply is a counterweight to the market pressures that can drive prices higher. The price rose to $3.59 in mid-January amid a brief cold spell but by Thursday had dropped to $2.81 per 1,000 cubic feet. That’s down 42 percent from that 2018 peak and 6 percent lower than a year ago. The polar vortex has bought record cold temperatures to locations such as Rockford, Illinois, and Des Moines. That’s helped push natural gas demand for residential and commercial heating up almost 40 percent from the prior seven days’ average, according to S&P Global Platts. Residential and commercial natural gas demand had its biggest single-day spike Wednesday in 10 years. So, why isn’t the arctic chill gripping much of the country driving prices higher? The deep freeze is not expected to last beyond this week, said Richard Redash, head of North American Gas & Power Research Analytics at S&P Global Platts. “We’re looking at some mild weather, relative to normal, and really normal weather as you get into the middle of next month,” Redash said. S&P Global Platts estimates that demand will soon fall back to levels since in early January. Another factor helping keep natural gas prices subdued is strong U.S. production, which has been steadily rising since late 2016 and hit new highs regularly in much of last year. That helps supply quickly recover after periods of high demand. “This tremendous year-on-year U.S. production growth does provide added supply on top of (stockpiles), and that’s not lost on many market participants,” Redash said.